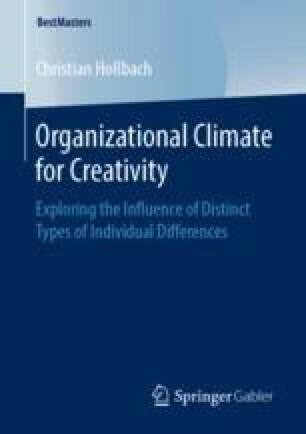 This study was aimed at exploring the impact of distinct types of individual differences on the perception of organizational climates for creativity. In order to consider positive and negative manifestations of climate in examining this potential impact, participants were asked to reflect about the situations in which they felt most and least creative. The application of this research design was empirically supported as the perceptions of the climate in these two situations were statistically significant distinct from each other.